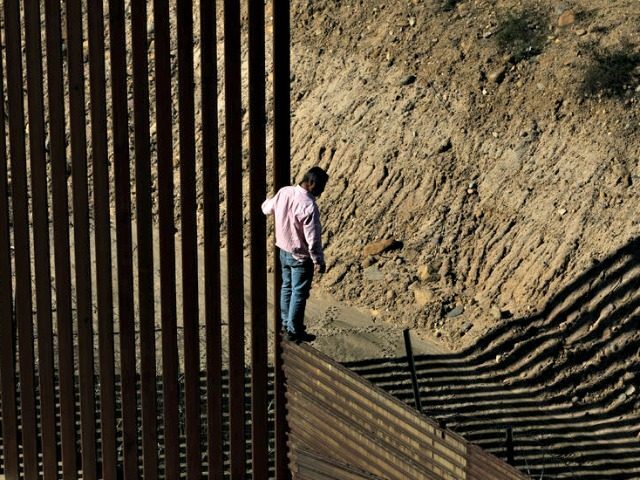 House Speaker Nancy Pelosi is trying to drain political support and funding from the planned border wall by repeatedly urging more federal spending to improve the official gateways through the border. If you want to detect drugs, as we all do, then there is technology that can scan these cars coming through. We’re spending about $40 million, we should be spending about $300 million to do that, and that is by the border control people’s own numbers. The Ports of Entry are a major source of smuggling, illegal aliens and drugs and what have you. But that does not mean you can leave the back door open. We can build the infrastructure and roads at our ports of entry. We can install new technology to scan cars and trucks for drugs coming into our nation. We can hire the personnel we need to facilitate trade and immigration at the border. We can fund more innovation to detect unauthorized crossings. Trump repeatedly makes the obvious counterpoint — that the drug smugglers and labor traffickers can always drive around any improved security at the Ports of Entry if there is no wall to stop them. Much of [the drug trafficking] comes through areas that are not your portals, including meth and cocaine and heroin and fentanyl. Heroin alone … kills 300 Americans a week, and 90 percent of it – at least – crosses the southern border. On January 6, Trump also approved Pelosi’s call for more spending on the Ports of Entry, effectively denying Pelosi the ability to treat it as an alternative to the border wall. This new-found interest in the Ports of Entry is curious because where was she three, four, five years ago? Was she supporting major investments in the Ports of Entry back then? Maybe I missed it, but it smells like a political distraction. Pelosi’s concern about the Ports of Entry is just one of many ideological and practice responses that Democrats offer to Trump’s border wall. In her January 3 video, she also argues that the wall is an “immorality,” “an old way of thinking,” “is not who we are as a nation,” highlighting the Democrats’ support for open borders and diversity. She also said the wall would waste money, be ineffective, and is a political distraction from unpopular policies. Comprehensive immigration reform is what this debate should be about. And quite frankly when the president talks about this being national security issue, no it really, isn’t. It is about a policy that is discriminatory as to where people are coming into this country.